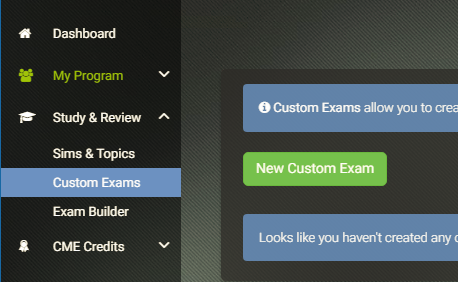 Build, save, and re-use your own adaptive custom exams using your Med-Challenger courses for a customized, time-saving approach to exam review, training, and ongoing knowledge quality self-assessment. Standard Premium Membership account holders and Group Program Administrators have the ability to create custom exams. Med-Challenger provides tons of ready tools “out of the box,” but we recognize sometimes a more personal or custom exam build is best. 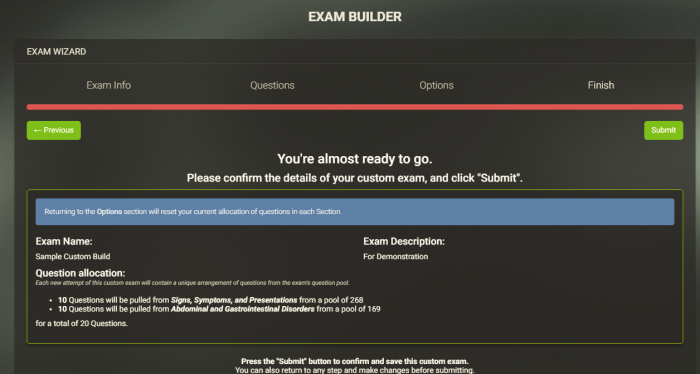 Our Custom Exam Builder provides extra assessment flexibility for medical practitioners and education program directors. Custom Exams are also Assignable! 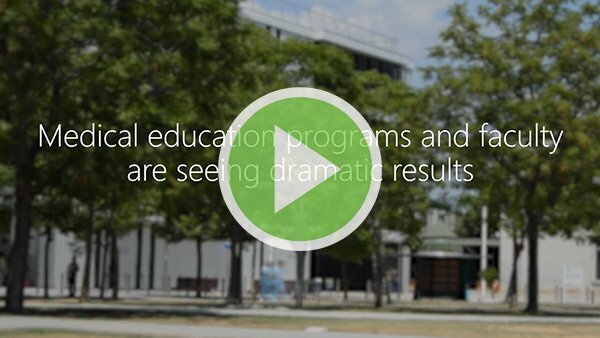 Education Program Managers can even use saved custom exams as an assignable group activities! Build exactly what you want. Custom exams provide a variety of options for self-study, exam review, and other knowledge assessment activities. A custom exam, once created and saved, will follow the content source and content allocation parameters you set, every time its used. With custom exams, you can set up preferred ways to self-assess. Let’s say you want supply yourself 10 Q&A / day in EM. 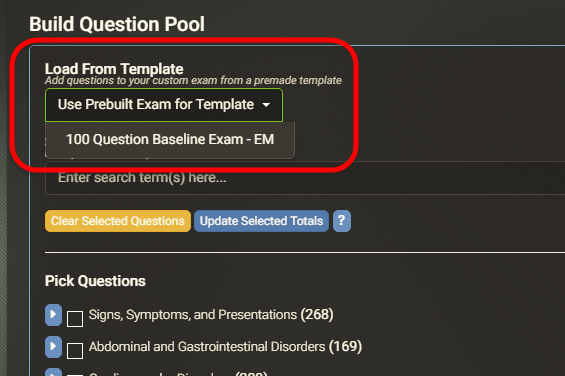 You could create a custom exam and tell it to pull 10 Q&A from your EM course’s total question pool of over 3000 Q&A, every time your custom exam is taken. This would provide you a one-click method of getting 10 Q&A’s every day as a way to refresh your knowledge using all available Q&A over time. Our adaptive learning engine further works to ensure all items are seen and mastered without annoying repeats of known information. Pick your exam’s content source. You can build a custom exam using any of your account assets. Select a course. The custom exam wizard will load that course’s content index for direct item selection. Indexes show all exam simulation assessments, chapter exams, and topic segments. 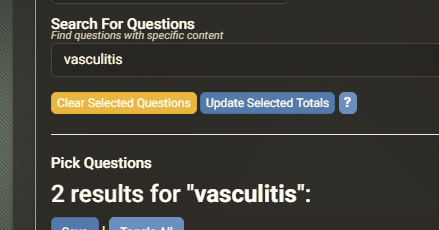 The number of available Q&A are listed next to each item. Build your custom exam’s question pool via search or select items directly from the on-screen course index. Once you build your question pool, you can set how many questions will appear each time the exam is launched. Group program admins can preview Q&A questions, full answers and explanations. Administrators can preview any question and decide whether or not to include it in their custom exam’s available question pool. PDs can develop focused exams for rotations or other specific topics. Beginning in 2018, we’ve added the option to assign pre-built custom exams, such as a 100-question “baseline knowledge” exam in each specialty, as a way to give program directors additional “out of the box” special case testing options. “Baseline exam” formats, for example, are useful for initial apples-to-apples testing (where every assignee gets the same questions) to help gauge incoming student knowledge on a standard. 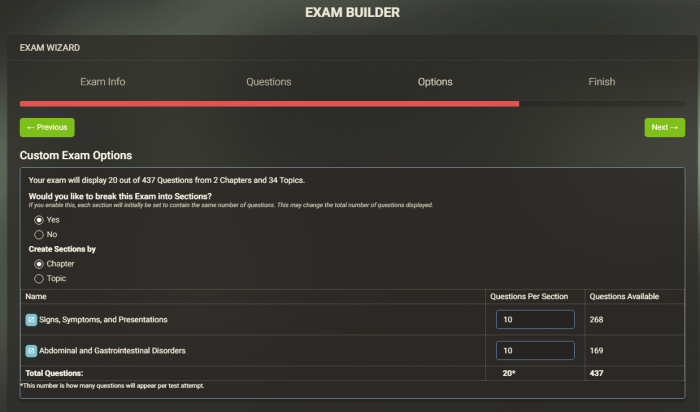 These pre-built custom exam designs are usable as templates in custom exam creation – That way you can load up our expert-curated templates in our Custom Exam Builder as a starting point, and change out or add any Q&A as you like, then save and assign your own special variants. 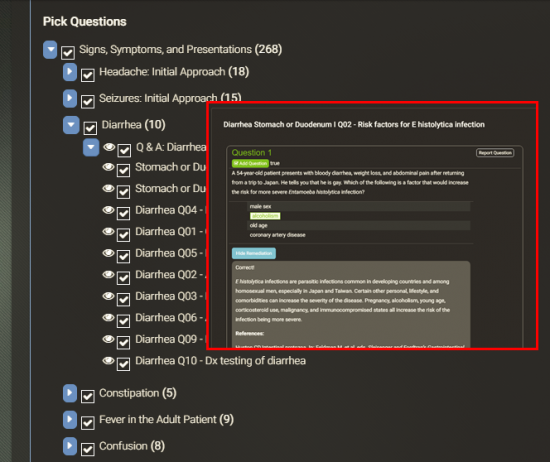 Set how many Q&A are pulled from each content area each time the custom exam is used. You can get super-specific with what’s pulled into each exam attempts making it easy to create rotation-based exams for use adjunct to live training or as online assignments. Review your custom exam content and other settings before saving. Saved exams will be listed in your Custom Exams listing. PD’s can assign custom exams. Group admins can even assign custom exams to learners. No one else gives program directors this ability. Start improving your outcomes now.